SolarCity is a very interesting company. You see, instead of building massive solar power plants and selling the power created to utility companies, SCTY is focused bringing solar power to the residential stage, and they have done a very good job of it. However, this created a bit of a problem for the company over the years. Unfortunately, most people simple don’t have the mass amount of money needed to install solar panels laying around. As a result, SCTY needed to figure out a way to make it affordable. To do so, the company started offering payment plans, and the problem became a bit worse. In order for SolarCity to offer payment plans on solar installations, they needed to take out loans to cover the cost of equipment and manpower needed to install the systems. Over time, this caused the company to build up a massive amount of debt, and that started to scare investors. Nonetheless, SCTY found a solution for this problem as well. Soon, it was announced that SCTY would start securitizing blocks of installation expenses. Essentially, the company made it so that investors floated the boat when it came to offering payment plans, rather than SolarCity having to take out loans. This move, in my opinion, was a genius one. Under the new plan, SCTY would have the funding it needed to offer payment plans on solar installations while avoiding debt and the risk that comes along with it. Essentially, the company pushed the risk down the line to the investors! In late 2015 and early 2016, SCTY was struggling in the market in a big way. After all, there are few things that have the ability to scare investors quite like debt, and the company took out quite a bit of it in order to fund solar projects. However, in more recent terms, things have changed in a big way. Ever since SolarCity announced that it would be securitizing blocks of residential solar projects, we’ve seen overwhelmingly strong movement surrounding the stock in the market. That strong movement is continuing today. Currently (11:39), SCTY is trading at $34.53 per share after a gain of $1.88 per share or 5.76 thus far today. 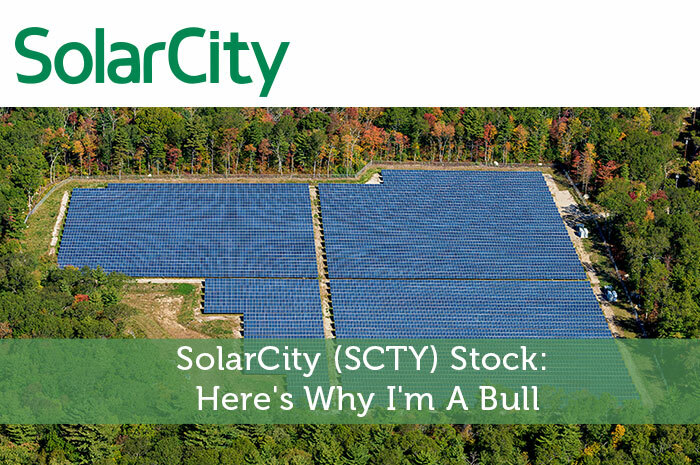 Moving forward, I have an overwhelmingly bullish opinion of what we can expect to see from SolarCity. The reality is that the company has figured out a way to offer residential solar on a grand scale without involving mass amounts of debt. As the global push to solar continues, consumers are going to want to have the control over the energy they use, rather than relinquishing that control to utility companies. So, moving forward, I see heavy demand in the future for SCTY as the company continues to provide the #1 solution in the residential solar space. All in all, things are looking great for SCTY! Where do you think SCTY is headed and why? Let us know your opinion in the comments below!